So one of the band members of Earth Program, I won’t identify her specifically, has been pestering me for this post for some time. I think she didn’t really realize that I had quietly retired from 3hive as a way to maintain sanity. Seriously, how can anyone actually listen to even a fraction of the music that’s out there and keeps on coming every day? It was her quasi-anonymous e-mail that did it; “Dear Editor, ” it began. Come on… As a disclosure, I knew this band member before there was an Earth Program, back when she was the complicated girl in the back of my high school Creative Writing class. She was as awesome then as her band is now, and I’m glad I unretired just to share some tunes I think a lot of you are going to like. I mean, just listen to “Eat Your MakeUp,” ok? Earth Program is pop enough to be bearable and strange enough to keep things interesting. Sounds like a fine time to be 20ish in Chicago. Oh, and hi Jen. Oops. Looks like I missed posting anything in the month of May. Ah, how one gets lost. Which I guess is an apt comparison to my relationship with Son Volt. For an album or two in a previous century, Jay Farrar had what I was looking for. Grit, wistfulness, steel guitar. And then there was Wide Swing Tremolo, and I don’t know. When I saw that Son Volt had a new album out an a free and legal MP3 to post, my first though was something along the lines of hoping this track, “Down to the Wire,” was a Neil Young cover. It’s not, but after listening to it a few times, that’s o.k. Maybe American Central Dust, out in about a month, will offer a way back to Son Volt. Paul Young left a comment on my last 3hive entry — a Julie Doiron re-post — that said, “Yo JC! Paul Young wants to hear about the new Superchunk album.” While I don’t remember Paul speaking of himself in the third person while a student in my class, he is somewhat of a legend in the halls of a certain suburban Detroit public school. And so, it is with much pleasure that I comply with his wishes and dish up a track from what has been maybe the second most important band in my own life. Without Superchunk, I’d be a fraction of the poet I am, and way more boring too. So Paul, I’m glad you’re alive, and thanks for asking. “Misfits & Mistakes,” appropriately titled for both of us, I think, sounds like 1990 all over again, but instead of being the secret bonus track behind “Brand New Love,” it’s new. Leaves in the Gutter, an EP released this month, is the band’s first fresh spin since Paul was in 8th grade. So here you go; let me know what you think, and say hi to Laura for me. Listening to 21 Tandem Repeats is a bit of a schizophrenic experience. Each track has its own sound and feel, from the Yo La Tengo flavored “Heidi Stopover” to the female vocals on “Pebbles”. They have some tracks that sound like The Mountain Goats and others that recall Simon and Garfunkel’s harmonies. Make sure you check out “On Frozen Pond,” a nice tribute to growing up in Canada. 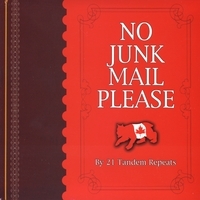 Their album No Junk Mail Please has something for everyone, and they can really pull off the changes in tone well. Perhaps the more I think about it the thing which unites all of the tracks is not schizophrenia but rather that they are all crazy good. 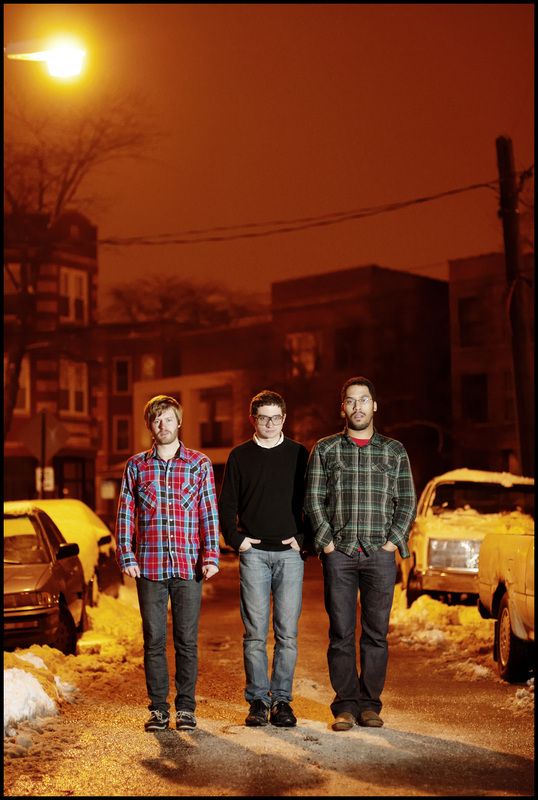 A few months ago (or more, I forget exactly), Paper Moon released an EP that made me pretty excited about the release of Only During Thunderstorms, the band’s third full-length release. Well, that release happened two days ago, and that smooth ’80s-ish Paper Moon pop is still there, with hooks and catches and everything you’d ever want in bountiful abundance. I’m already a fan, so there’s not much point in being objective; this album makes me happy. You gotta check out the opening keyboard lick on Paper Moon’s “Mercury is Clearly Opposing Neptune.” It fits right in with the popped collars all the high school kids are wearing these days — 1986? ’87? Even the little hitch in Allison Shevernoha’s voice about 30 seconds into the song reminds me of the old days. If you teenagers of the Reagan years seek a few minutes of nostalgia, or you modern reenactors are wondering what things sounded like back then, look no further than the catchy pop of Winnipeg’s Paper Moon. I am not cool and as I write this I realize that it is pretty likely that I have never been cool, but I think I know what it looks like and I know this fact: Matt Rickle is cool. I first met him in the summer of 1998 when we both worked at the same movie theater; he was an usher and I worked behind the concession stand. We talked about music and he once even made me a mix cd; that was it for me — total man crush. Over the years I have seen Matt play drums in a variety of bands, some good, some not as good, but the coolest one was certainly the Javelins, for whom he also sings. They have a low fi talk-sing quality mixed with some pretty traditional indie rock instrumentation. The band might not be great but they’re pretty good and I’ll be damned if they aren’t cool. H-Burns is French. H-Burns is Renaud Brustlein and friends. H-Burns has webpages that Google translates for me and that end up with funny little bits and pieces of English. H-Burns is about the best thing I’ve listened to in the last calendar year. Way back in November, “Horses With No Medals” was posted by Largehearted Boy (nice one! ), and that song has occupied a little space in my head for a long time since. It’s a beautiful little piece of work, the kind of combination of lyrics and music that makes me want to learn how to play the guitar, the way that Neil Young’s “Thrasher” did the first time I heard it. Over at H’s Hinah session, you can pull a Dylan cover, a cover of Magnolia Electric Co.’s “Farewell Transmission,” and a few other covers besides the two originals available here. And at MySpace you can listen to How strange it is to be anything at all, Renaud’s latest full-length spin. I think I’ll go learn French next, in case there are any songs in the original; it’s that good. There’s a pretty cool explanation of how O+S came to be over at the Saddle Creek website. The short version: Orenda Fink and Scalpelist (Cedric LeMoyne of Remy Zero) used an old friendship and lots of new and exotic sounds to put together an album rich in texture and atmosphere. Even on the first spin these tracks seem to possess a complex, almost academic structure. Just the opening 30 seconds of “We Do What We Want To” can clue the listener in to the agenda of O+S, with their swirls of sound and ethereal vocals; that is, to put a little artistry into their art. After checking through our voluminous archives of 3hive’s unpublished stuff, I found that my friend and colleague Sean was thinking of posting Canadian singer-songwriter Barzin back in November of 2006. Since the statute of limitations has expired, I’m gonna run with it. Like Josh Hayden’s old band Spain, or maybe Mark Kozelek’s Red House Painters, the songs of Barzin move at a snail’s pace. What may not be clear, though, is that it’s a beautifully passionate and intricate snail suffused with longing, filled with the heartbreak of being trapped in its rigid shell. In other words, Barzin rocks it low and slow, with strings here and vibraphone there, never losing control of the specific and delicate emotional precision of a moment. Over the course of three albums, Barzin has stayed quiet, which is naturally a welcome if not absolutely musical necessity in a world of big cities and small children, machinery, televisions, iThings, etc. Give these tracks a shot; you won’t be surprised at all.